There are 30 reviews of 10 Corso Como. To me, the brilliance of 10 Corso Como comes from its precarious balancing act, a complicated yin/yang that I've never smelled elsewhere. At its core, 10 Corso Como should be rough - it's built on rose and rubbery oud and charred leather and smoky incense, flavored with raspberry and dill. This should be one of those brutally dark, jagged perfumes, but it's not. Somehow, it's creamy and soft and warm and feminine, the olfactory equivalent of petting a bunny or enjoying a creamy pudding. And that's what makes 10 Corso Como one of the most legendary and timeless niche perfumes. It's also why people call it dull, but anything that passes through roses and iris and oud and smoky campfires and leather and vinegar and myrrh while maintaining a creamy softness is certainly not dull to me. I should share that it took me years to finally "get" 10 Corso Como - I thought it was just sort of odd and dull for years myself, but once I reached a point where I was ready, its greatness finally made sense. Thumbs way up! 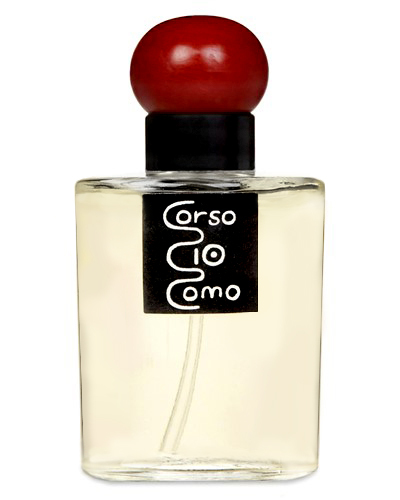 The first note I discern in 10 Corso Como is a very smooth, nutty, and somewhat sweetened vetiver. The vetiver is soon joined by incense, sandalwood, and rose, all well-blended in a very dignified accord. There is some oudh in the mix as well, but it's only a grace note, not a lead player, and like everything else in this scent, it's very smoothly integrated. "Smooth" keeps coming up as I describe 10 Corso Como, and I realize that this is an exceptionally suave and civilized scent. Surprisingly for a fragrance featuring rose, vetiver, incense, and oudh, it's also quite soft and mild, and wears close to the skin. It grows progressively creamier as it develops, with the oudh lending a certain coolness to the composition. Over the course of hours, 10 Corso Como also sweetens and becomes more resinous, as the gentle oudh and smooth (again!) sandalwood lead it into its clean musk, wood, and incense drydown. This is nice stuff, and I find it very easy to wear. I see it as a solid, sophisticated daytime scent for those occasions where you want to project poise and decorum. A fragrance that has apparently had glory days but the present iteration is a rather flat if pleasant sandalwood with sweet breath and somewhat sweaty edges. Disregard the alcoholic opening, 10 Corso Como soon settles into its mild woodsy smile which it holds for the length of its stay. A bit of a plain Dwayne. As it warms up, the vertiver comes out more, and I detect a strange sweetness. It doesn't make much difference to me; I would not recommend this. l have seen this one compared to Costes, but to my nose the two are quite different. l get a strong woody incense in the opening, but none of the rose. What l get instead is a note l can only compare to sweet pickle. l keep hoping it will go away, but having noticed it, l cannot ignore it. l sense a rather friendly oudh trying to get out from beneath it, but the pickle note just ruins this fragrance for me. lt hasn't changed at all when the fragrance fades out around four hours in, but at least the projection is mercifully low, otherwise l would have scrubbed it off long before that. Here are the notes I saw listed: sandalwood, frankincense, musk, rose, geranium, vetiver, Malay oud. This is a very subtle, close to the skin scent. The incense is very smooth, and the sandalwood is creamy. There are mere hints of green-coniferous frankincense and rose; and even a fainter hint of tangy oud. Overall the scent is beautiful, perhaps just a bit too smooth and restrained to really attract my attention. However, I cannot fault it and I am sure that many will find it very nice. There are no member images of 10 Corso Como yet. Why not be the first? Current 10 Corso Como--Thoughts? Opinons? Layer Midnight Oud + 10 Corso Como vs. Portrait of a Lady? ?